Being the gateway to Palawan – heralded the world’s best island in recent years by travel publications – Puerto Princesa is no doubt experiencing a tourism boom with the city getting busier and busier. If you’re looking for a quiet getaway within the city, then Panja Resort Palawan (pronounced pan-yah) would be the perfect pick for you. 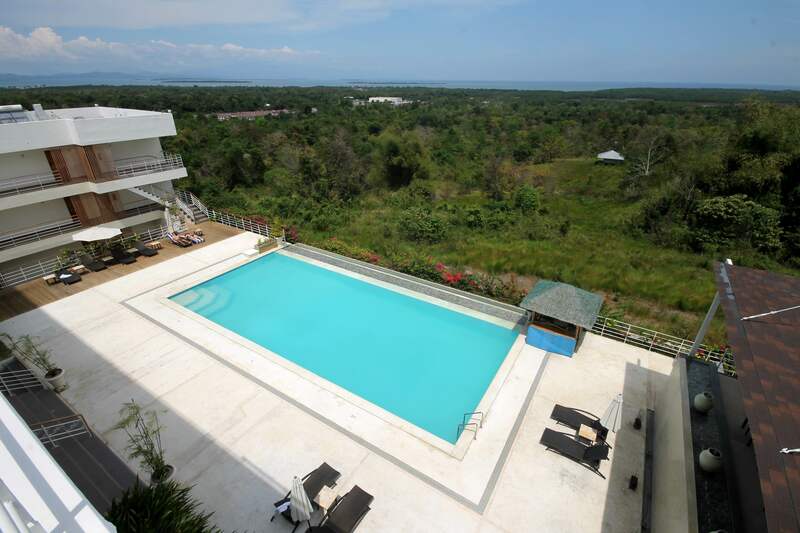 Away from the bustling city center, the boutique resort sits on a hilltop surrounded by refreshing greenery and sweeping views of Puerto Princesa and Honda Bay. Situated at the rolling hinterlands of the city near the popular inland tourist spots of Baker’s Hill and Mitra’s Ranch, the new establishment offers a 360-degree view of the countryside where you can view both sunrises and sunsets. One can even see as far as northern Palawan’s notable peaks like Cleopatra’s Needle and the limestone ridges of Mt. Saint Paul, the site of the Puerto Princesa Underground River, a UNESCO World Heritage. 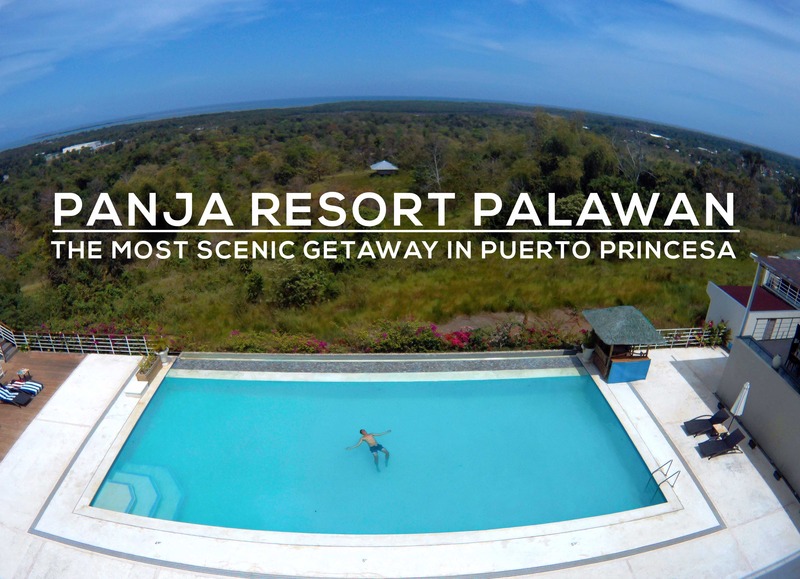 Panja Resort Palawan is a boutique retreat away from the bustling city center. Each room has its own balcony with panoramic views! 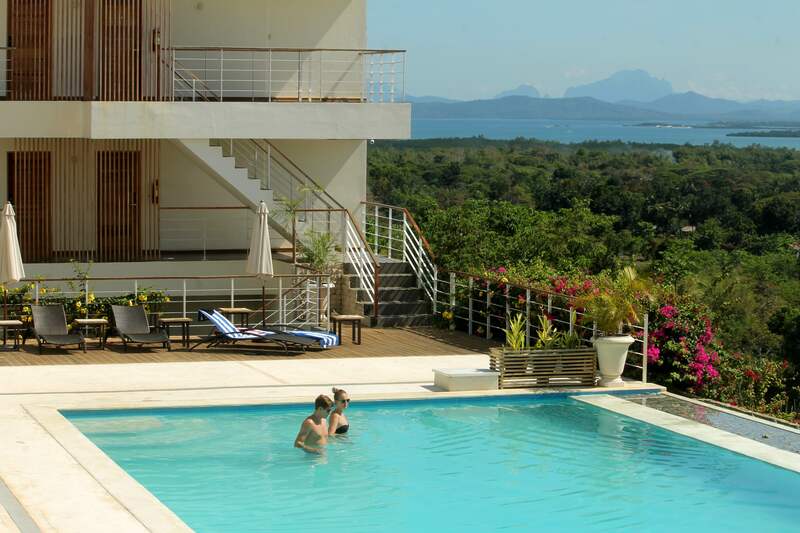 Panja Resort Palawan has 35 rooms surrounding an infinity pool with sun loungers overlooking Honda Bay. Each of the rooms has a 32″ LCD TV, en suite bathroom, and balcony for you to enjoy the views privately. For unobstructed views, head up to the aptly named 360 rooftop bar to enjoy a sundowner of beer or cocktails at dusk. The resort is surrounded by the lush greenery of the countryside. Horizon Restaurant serves an eclectic menu of Asian and Western dishes. 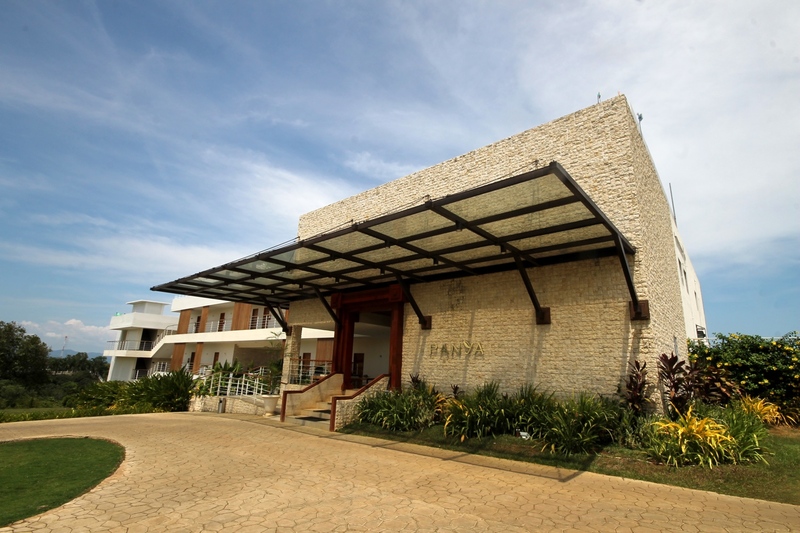 Horizon Restaurant at Panja Resort Palawan serves breakfast, lunch and dinner to both check-in and walk-in guests. If you’re checked in, it’s the most convenient place to eat due to the isolated location of the resort. 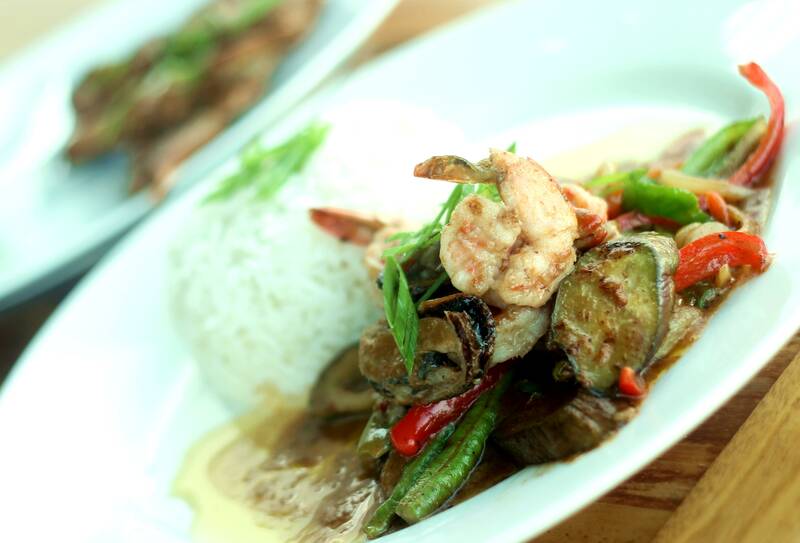 Fortunately, the restaurant offers an eclectic menu with a little bit of everything from different cuisines: Filipino, Korean, Thai, Japanese, Indian and Western. I really enjoyed their Angus beef burger, seafood red curry and caesar’s salad with generous bits of bacon! A 15 minute walk from the resort, Baker’s Hill is the nearest food and dining option outside the resort. Don’t miss their most sought-after hopis monggo (mung bean pastry)! Promo rates at start at PHP 3,780 (USD 73) for a deluxe queen or twin, inclusive of breakfast for two, airport/bus terminal transfers and daily shuttle service to Robinson’s Palawan. Find discounted room rates here! The infinity pool overlooks Honday Bay and the limestone ridges of St. Paul Mountain, site of the Puerto Princesa Underground River. One can arrange airport pick-up with the resort, or charter a tricycle to take you there (Use Baker’s Hill and Mitra’s Ranch as landmarks). The resort also offers a regular shuttle service for guests to and from Robinson’s Palawan.